At first, I read that as 'long suffering DAZ PA' - LOL. It's 'mac-layne' - It's just that the Scots can't spell properly. Yet more adorableness for the kids? Your boundless generosity will not go unrecognized. I have a lovely roundabout and a see-saw which will make a great accompaniment to the park set! Thank you. presented by the lovely team of DAZ PAs, SamC, Martin(Optitex) and ThespiSis!!! Beautiful and imaginative! Thank you! by our long serving DAZ PA, Maclean!!! Awwww. Christmas is for the children and they will love this too! Thank you! Very festive picture Scorpio64Dragon. Thanks so much for posting it. I'm also going to say thanks to all the PA's who put up goodies for everyone, and thanks again to April for looking after us. Yes, we can't thank April enough for stepping in to organize. Thank you, kind lady! Thank you, thank you, thank you! 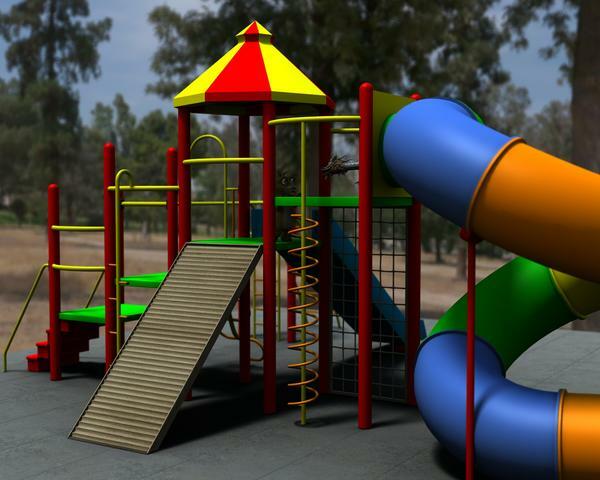 It is a lovely playground set. Yes we are getting a number of kid-oriented gifts this year. And we are very glad to have them. But no hints of Kid 5, unfortunately. Thank you for all the gifts, everyone! It's only steel and plastic...maybe if it was concrete and steel, then they'd be allowed to play too...but, nope, sorry. Have to keep the gorilla off of it, also. Besides, trolls don't like those bright, cheerful colors...they go for more muted earth tones. Well, when kids play, they play with toys, yeah? your friendly neighborhood 3d hairdresser lol ... DAZ PA, AprilYSH!!! 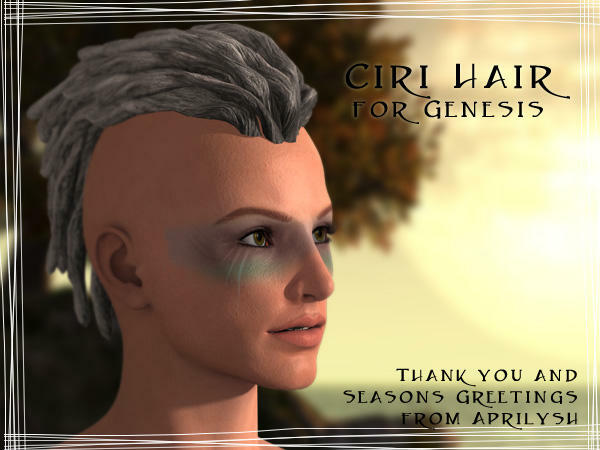 Plus she has a link to all her previous Xmas Hair gifts! Woot! Many thanks you have filled a need! thanks to all of the PA for their gifts. I likey! Thank you! This is an interesting one! Come in handy.